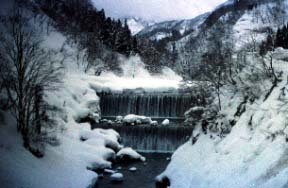 Shinano River is crossed and it is an enough hidden spring to the valley at the front base of a mountain. 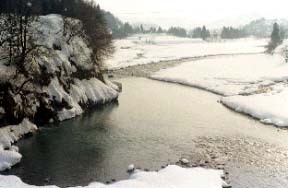 Shinano River winds slowly and it is a flow. 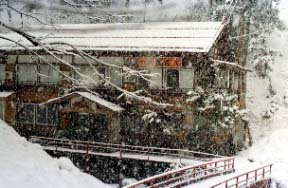 Seemingly a Ryugakubo pond is an enough under this snow. 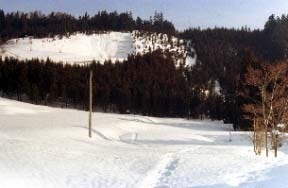 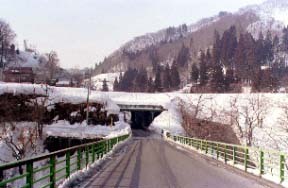 An akiyamago, the Nakatsugawa ravine.